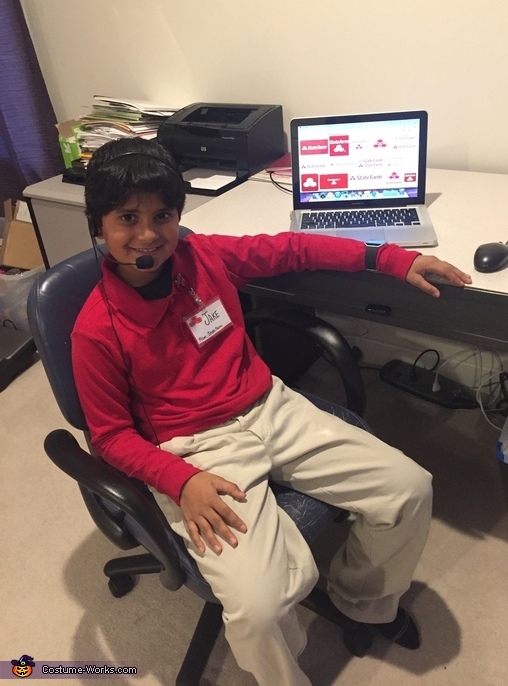 When someone says the name "Jake", my son always says..."Jake, Jake from StateFarm"... so this costume was the obvious choice this year!. Khaki Pants, Red shirt, Headset and a homemade name tag. Simple and every house LOVED it!